Deanna here with another inspirational post for the Dies R Us inspirational blog. Today I have a birthday card for you. 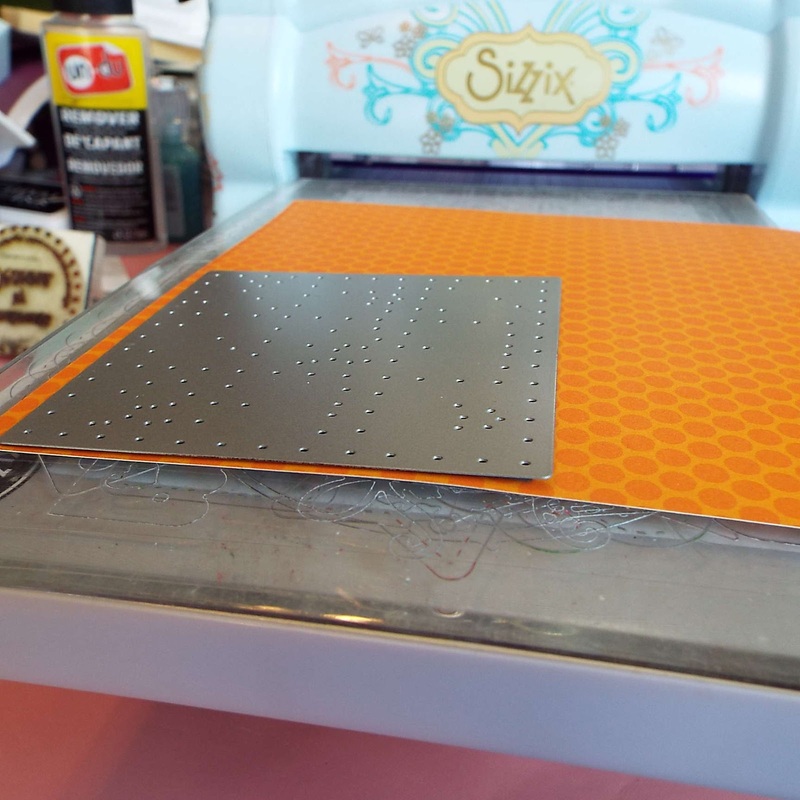 I started by die cutting the Frantic Stamper Birthday Grid on some orange patterned paper. 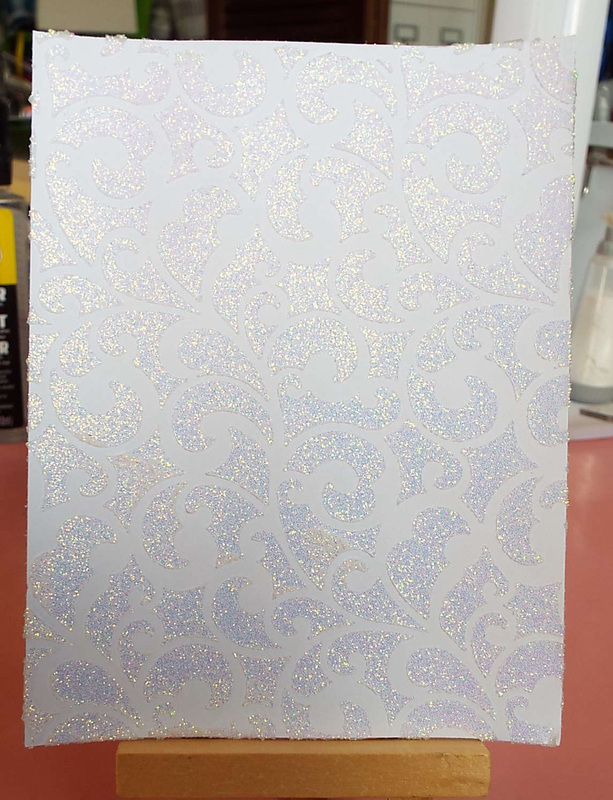 Next I taped a stencil down to some white card stock and using some Nuvo Glitter Paste in white and a pallet knife I added some glitter to the card stock and let it dry. Can you see all the glitter on the card stock. 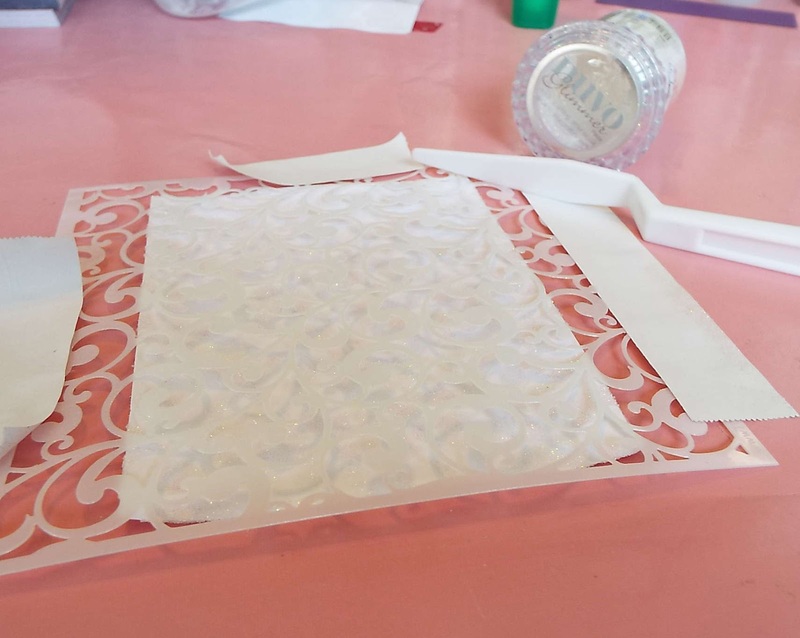 When it is dry it doesn't rub off so it is a great way to add glitter to a project. Once the glitter paste was dry I finished my card. The sentiment was cut from Tutti Designs Happy and Birthday word dies. I used the smaller set of words from the dies. The dies I used in this project are pictured below. So much pretty sparkle, love that stencil! Great birthday card, a total celebration! 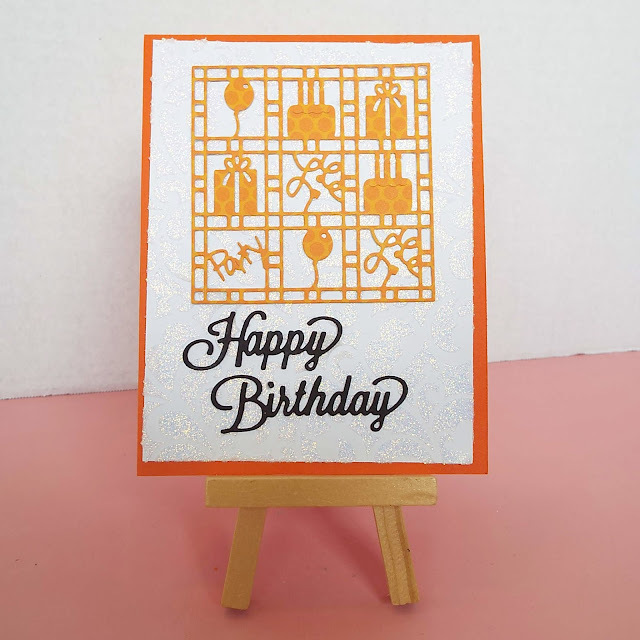 Such a joyful card with that pop of orange cardstock you used.......and then to top it off you added the sparkle to the background. Love those word dies too. Oh aren't you clever creating the sparkle on the background as you have! Love it! Sure to bring a smile to any birthday party! GREAT job! such a cute and fun birthday die, I like the glitter behind it too, so cute! gorgeous! the glitter paste is a wonderful touch! love it!